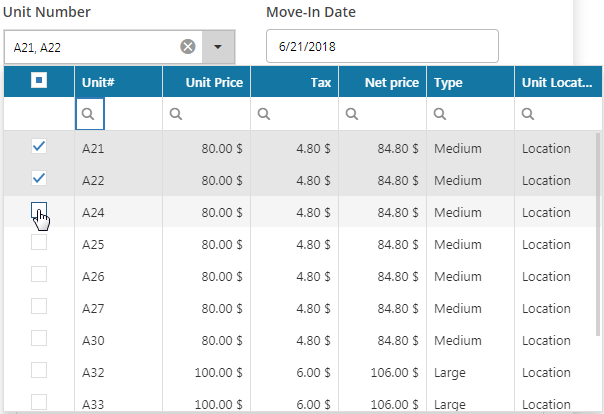 How to create multiple unit move in? 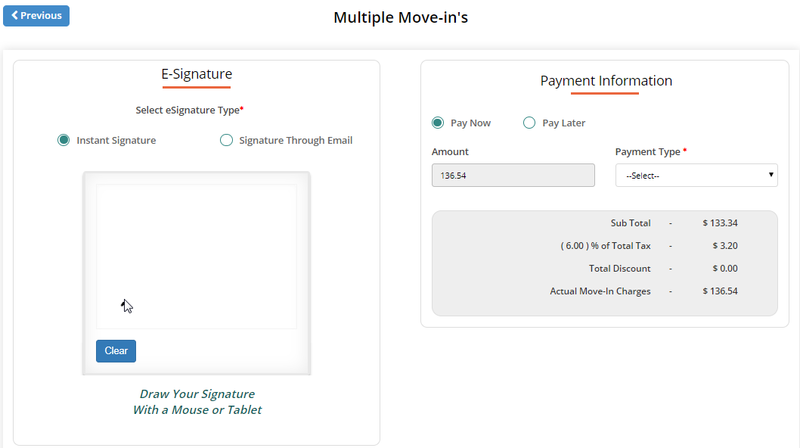 Step 1 :Navigate yourself to the Move-In tab and choose Multiple Units. 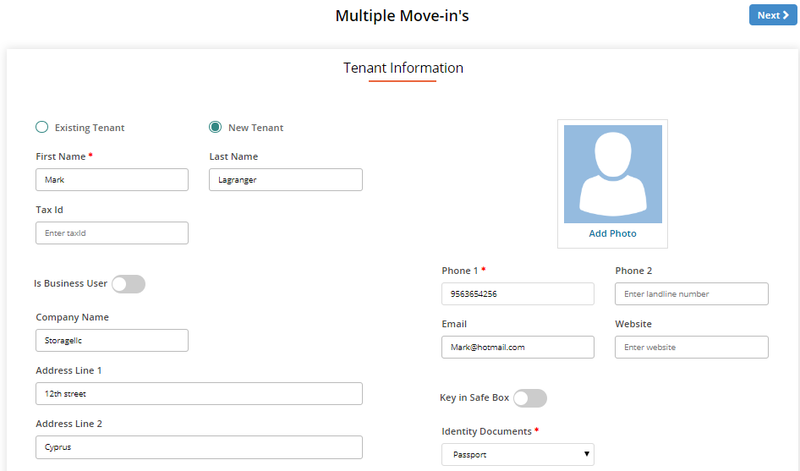 Step 2 : This will redirect you to the Multiple Move - In page, where you’d find many fields to record tenant info and more. 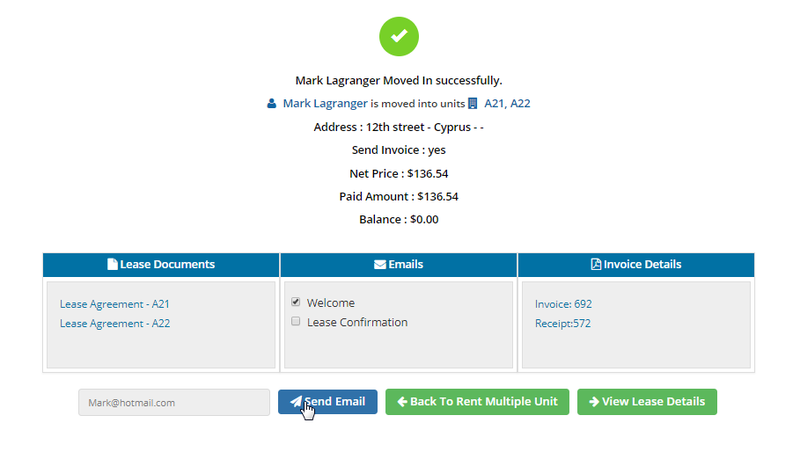 Step 3 : Hitting on Next allows you to add another Unit to the same Move-in, this would redirect you to a new tab that has fields to collect more info of the tenant. 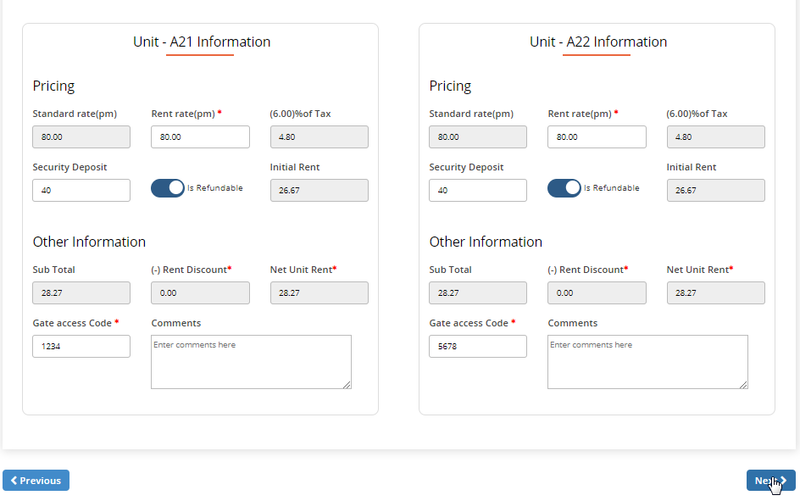 Note : You can only select a max of 4 units to move-in at once. Quick tip : You get to also choose individual unique gate codes during the move-in process. 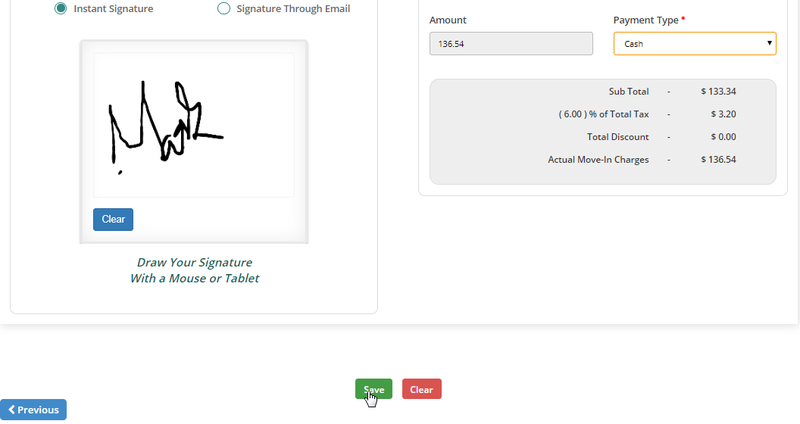 Step 4 : Proceeding further, You will find the E- signature page to sign in. 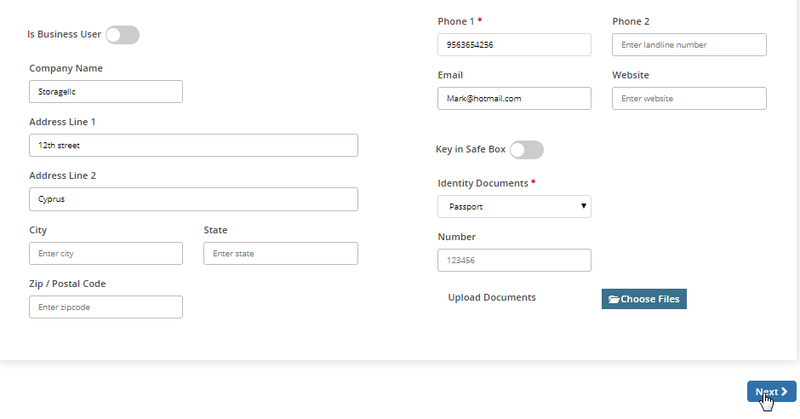 Step 5 : Finally select the payment type and proceed to move-in the tenant by hitting on save. Step 6 : You’ve now Moved In the tenant successfully at once for both the units.